Summer is fast ap-poaching (next Friday) so we have a fantastic offer to give Spring a good send-off. Spend £30 on the Omlet website and get free UK delivery. * Place your order by midnight Thursday 20th June, using discount code: SPRINGFREE13 to get your goodies delivered for free. So click here to start shopping! * Offer not applicable on orders of Feed, Grit or Bedding. Not getting ‘enouef’ sunshine? Have an egg instead! 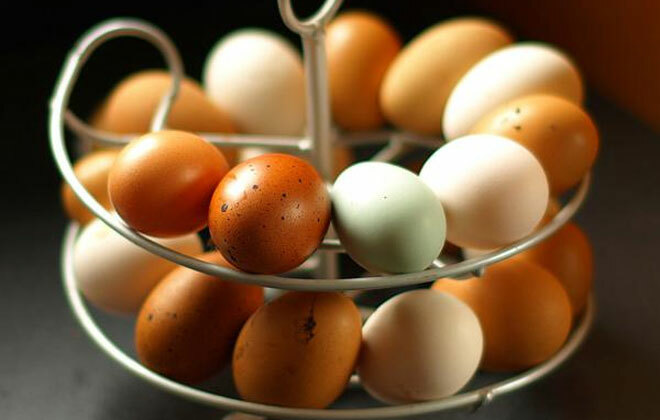 Recent reports reveal that eggs are a great source of vitamin D, essential for strong, healthy bones. So if it’s not sunny this weekend, why not rustle up an omelette to get your fix!? You’ll also find vitamin D in salmon, milk and orange juice, so a serving of scrambled eggs and smoked salmon, with your milky coffee and orange juice will go down a treat. We love this photo uploaded by Eglu Owner Nicola. 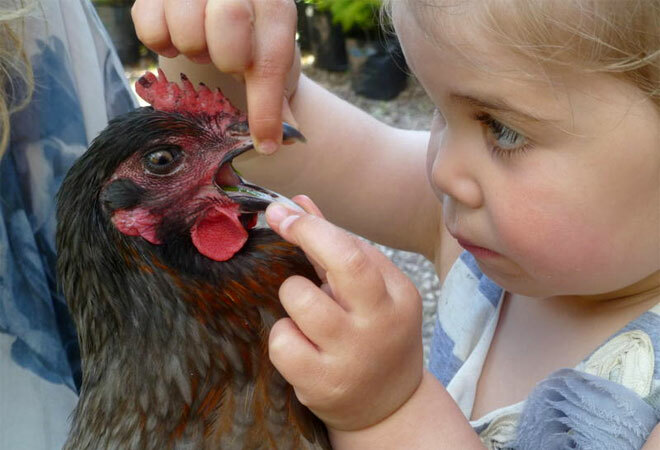 Her daughter appears to be most fascinated by her pet chicken and there must be a cracking caption to go with it. Can you think of one? Email your entry to stephanie@omlet.co.uk, or post on Facebook or Twitter, by midnight Thursday 20th June, for your chance to win a £50 voucher to spend on our website. Good cluck! There’s no need to fear Mr Fox when your chickens are safe in an Eglu. One customer recently posted the comment above on our website, and it’s clear to see she is impressed with the super strength and protective power of the Eglu Classic. It may not be Superman, but it certainly beats the foxy villain time after time. Click here to read more about the Eglu’s heroic features today! Isla Fisher is the latest celebrity to start keeping chickens. She said that although they do poo alot, “they’re just adorable”. All true, but the poo does make brilliant fertiliser for the garden! She went on to say: “It’s been so much fun. They’re little characters and they all have personalities.” We’d like to add that they’re also incredibly easy to look after, they make great pets for children, and the eggs taste superb. Just like Jamie Oliver, Hugh Fearnley-Whittingstall and Chris Evans, Isla is definitely a chicken keeping convert…but the question is, does she have an Eglu.!? Gardener’s World Live has proved a sell-out this year, but if you’re lucky enough to be visiting today or tomorrow you should potter over to stand C160 to chat chickens. Our friends at Poultry Talk will be there promoting responsible chicken keeping and offering impartial advice on getting started with hens. Poultry Talk are a non-profit organisation with a passion for poultry and they will be happy to answer your questions. 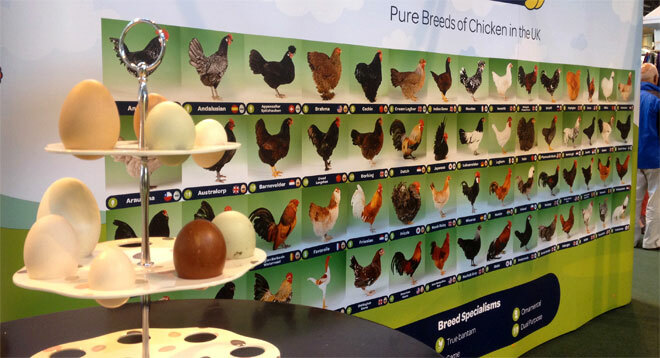 So why not say hello, pick up a fact sheet, and have a peek at our Three Tier Egg Stand on display. Fancy a Pimms on your way home from work? Forget the pub this Wednesday, pop round to Hen Corner instead. 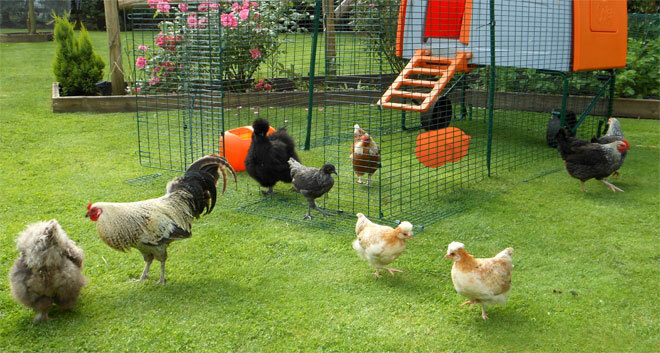 After your refreshing drink and tasty homemade egg mayo rolls, your Hen Party host Sara Ward will give you a brilliant introduction to keeping chickens in an urban garden. 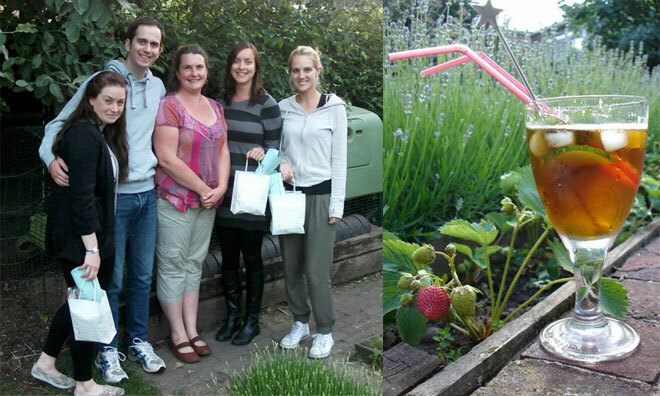 See an Eglu, handle a hen, ask some questions…oh, and then enjoy some delicious homemade cake and tea. You’ll even get a goodie bag to take home. At just £20 a ticket, that’s a ‘cheep’ night out, don’t you think!? Click here to book your place today! 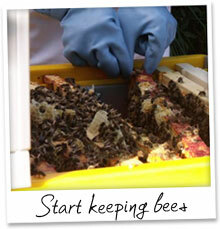 Beehaus – It’s not too late to start keeping bees, and the Beehaus is the perfect beehive for the first time beekeeper. Ideal for urban gardens and rooftops, the Beehaus is easy to use and has some bee-rilliant features. 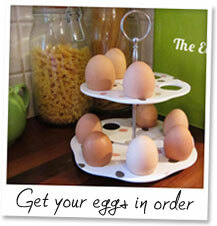 Egg Stand – Still putting your eggs in the fridge? Keep them on an Egg Stand instead. Eggs should be kept at room temperature and the Egg Stand does just the job. Its yolkadot print design looks rather fabulous too. Two sizes available, from £14.99! 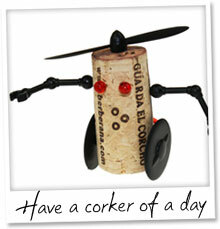 Corkers Cork Robot Kit – Next time you give someone a bottle of wine, why not add one of these to turn it into a corking gift!? Once the wine has been de-corked, someone will have a giggle creating a robot character. £5 each, with four designs available!